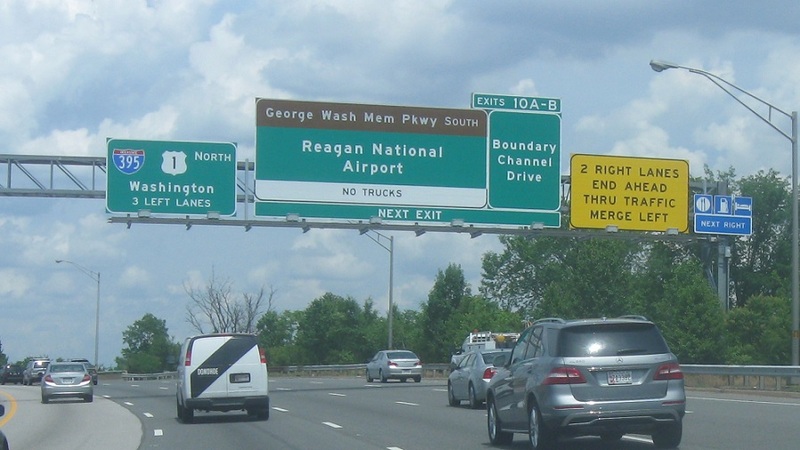 Reassurance shield omitting US-1 as 1 north joins I-395. 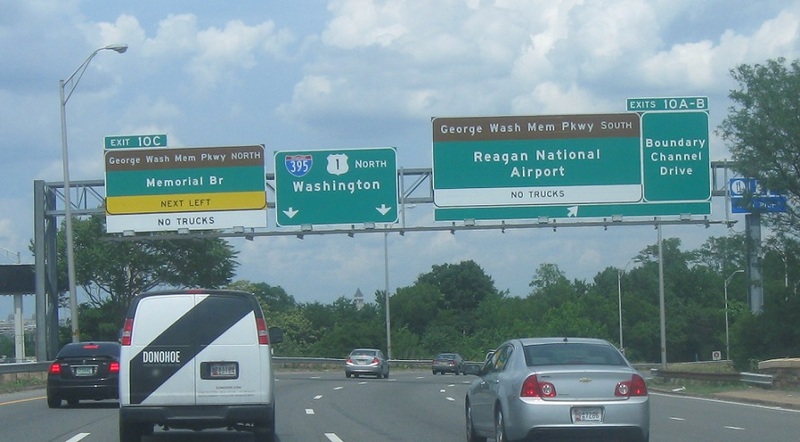 Just after that, keep left for I-395/US-1 as we approach Geo. Wash. Mem. Pkwy. Exit left and right for the parkway. 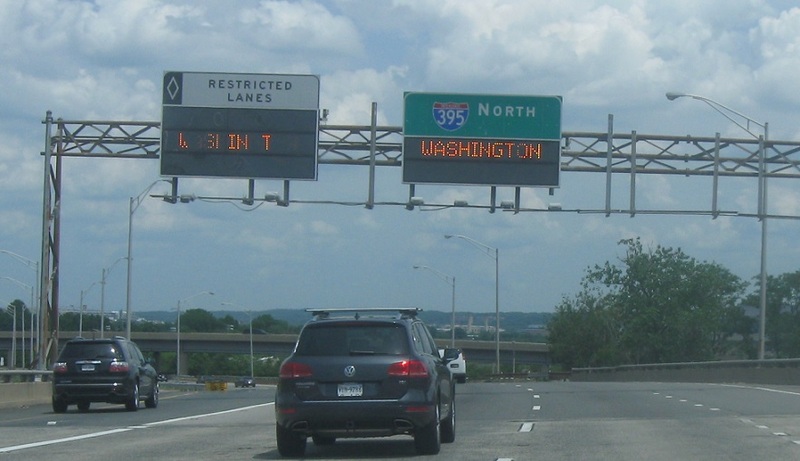 In just a moment, 395/1 will cross the Potomac, and cross into DC on the west side of the river.